In the West, Islam has replaced Communism as the new bugbear, while Sufism, Islam’s mystical dimension, is often dismissed as the delusions of an irrational and backward people. 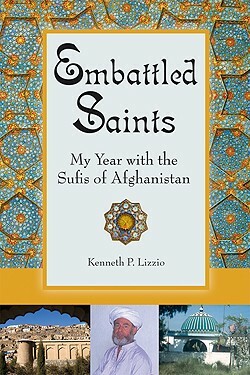 Ken Lizzio corrects such misperceptions in this firsthand account of the year he spent in 1991 living with the head of the Naqshbandis, Afghanistan’s largest Sufi order. He presents the order in all its dimensions—social, economic, political, and spiritual—at a pivotal moment in history. He also gives a rare glimpse of everyday life in an Afghan Sufi school and of how the school has coped with the upheavals in its country. "A welcome, rare, well-written, informative, and spiritually insightful excursion into the world of Afghan Sufism." Kenneth P. Lizzio is an Islam specialist and holds a Ph.D. in Near Eastern Studies from the University of Arizona.